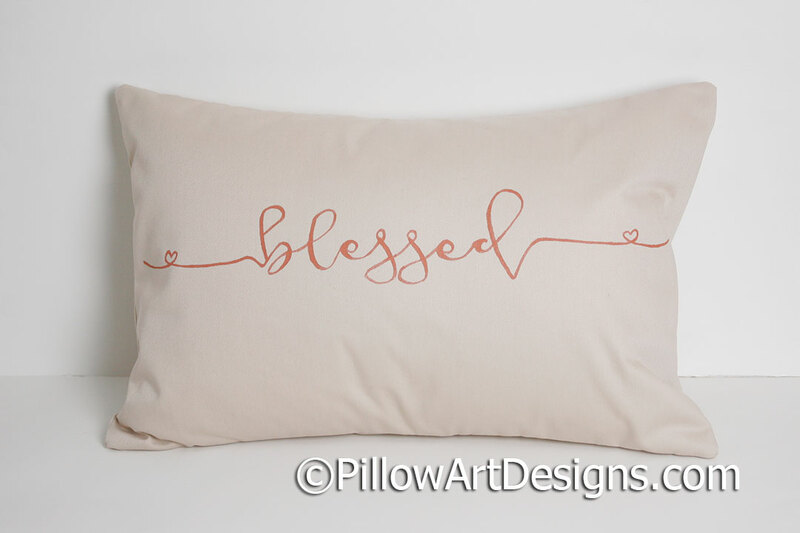 Lumbar pillow cover with word Blessed hand painted in cursive script with small heart flourishes on either side. 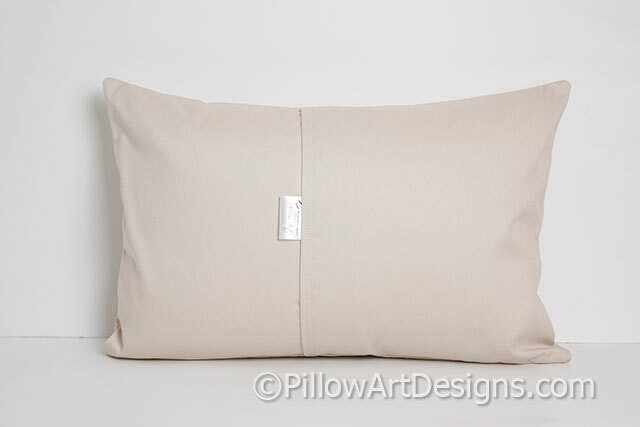 Polyester insert included, pillow measures 12 X 18 inches. 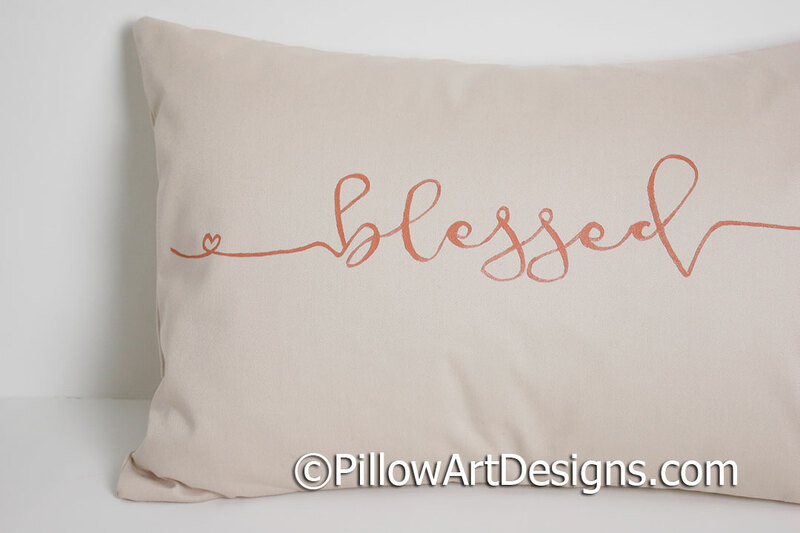 Hand painted in rust non-toxic fabric paint, will not wash off, flake or rube off.